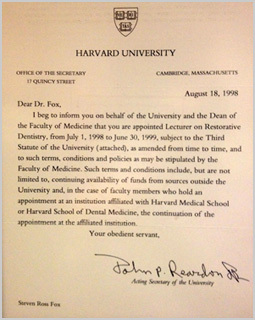 Dr. Fox is an ICON in the dental profession. 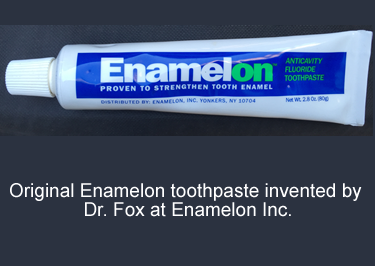 In partnership with the United States Government and the American Dental Association, he developed many of the products used in oral care today. He is nationally and internationally recognized for revolutionizing oral care. Dr. Fox employed a Nobel Prize winner in Chemistry, The Asst. Surgeon General of The United States, and The Dean of The Harvard School of Dental Medicine. 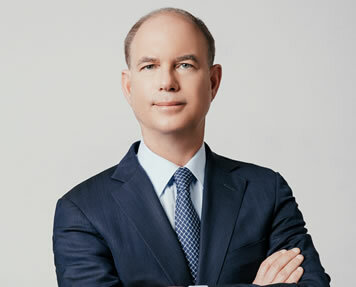 He is the ONLY Doctor in New York City who taught cosmetic dentistry, and served on the faculties of The Harvard School of Dental Medicine, The NYU School of Dentistry, as an Officer of Harvard University and on a tech board at the University of Pennsylvania. 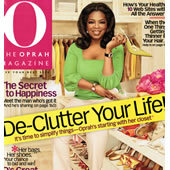 He has frequently appeared on national and international television and has been featured in hundreds of newspapers and magazines. 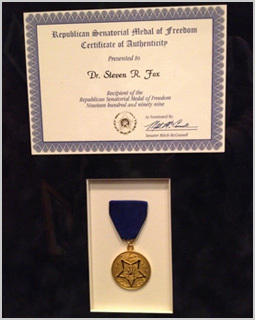 Dr. Fox was honored by Senators, with the United States Medal of Freedom and was the recipient of the Ernst and Young Entrepreneur of the Year Award for developing dental products as founder and chairman of Enamelon, Inc. (sold to Church and Dwight). 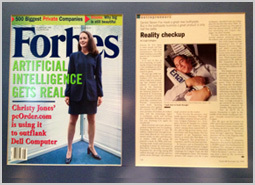 Dr. Fox raised 70 million dollars to develop oral care products that rebuild, strengthen, and restore tooth structure. These products have eased the burden of dental disease (the most common disease known to mankind), all over the world. 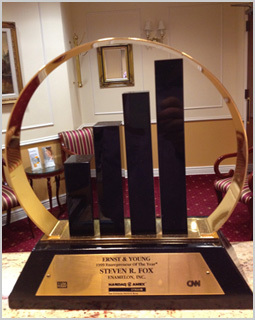 Dr. Fox and his team developed 17 patents and patents pending transforming dental care. Today many major oral care companies all over the world emphasize his work in their products. 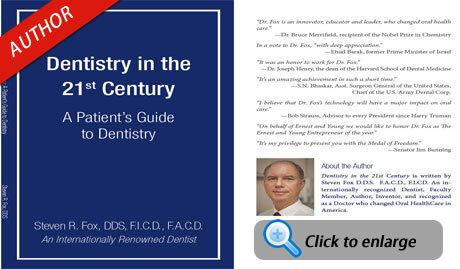 Dr. Fox is referred to as "The Father of 21st Century Dentistry". 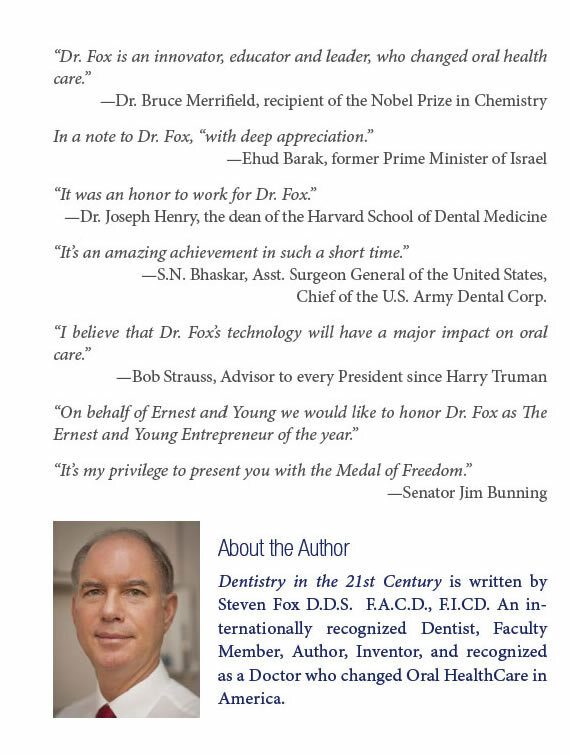 Author of "Dentistry in the 21st Century"
on Dr. Fox and Enamelon Inc.
Click here to read a recent interview with Dr. Fox, published in the June 2018 edition of Social Life magazine. 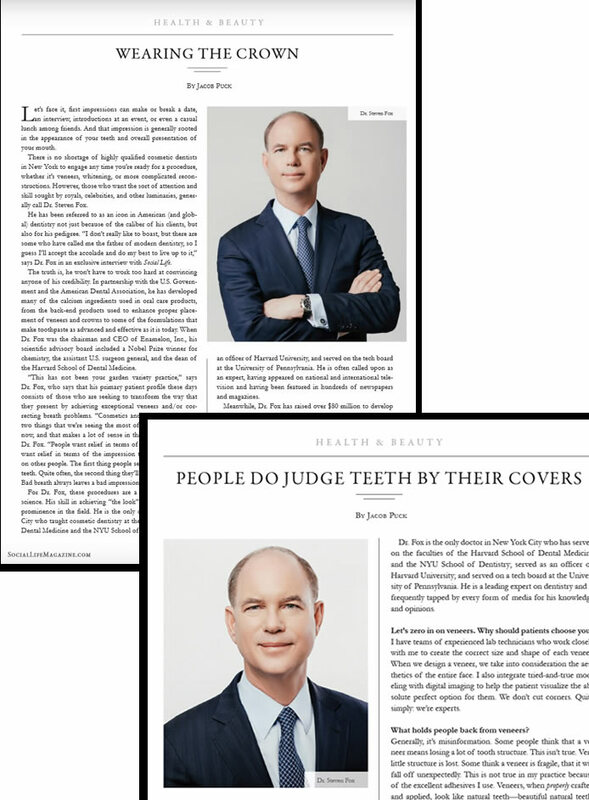 Click here to read an interview with Dr. Fox, discussing veneers, published in the July 2018 edition of Social Life magazine. © 2016 Dr. Steven R. Fox. All Rights Reserved.